The mission of Snoqualmie Springs School is to provide a safe, caring, enthusiastic, and individually challenging learning environment where each child can learn and develop at their fullest potential. As a diverse and unique learning community, we will work together to create and maximize opportunities for each child’s growth and academic success as defined by the Washington State Superintendent of Public Instruction. Snoqualmie Springs School holds a State Standards Certificate of Compliance issued by the Washington State Superintendent of Private Instruction. 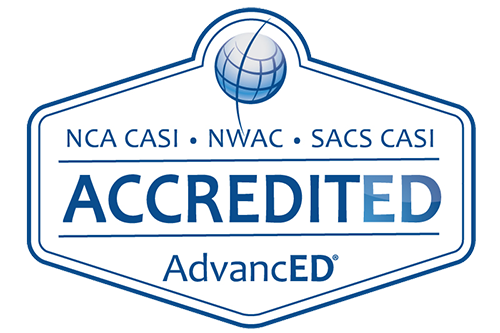 The School is fully accredited by AdvancEd and the Northwest Accreditation Commission and is a member of the Washington Federation of Independent Schools. The school complies with all federal, state and county rules and regulations and does not discriminate against race, religion, national origin, ancestry or disability. Small class sizes, meeting kids at the level they learn best, opportunities for language and music. Professional, loving, and caring staff. Very good communication between school and parents. Good options for after school programs. Flexible pick up times. We love the friendly, nurturing environment, the wonderful teachers, and the rigorous academics. It’s a wonderful school that we’re so happy to be part of! Teachers are engaging. School is clean, cozy and comfortable. SnoSprings School was the first step our sons took when entering into the academic world. They have very beautiful and joyful memories of SnoSprings. Our family appreciates SnoSprings for it’s loving, inspiring, high-standard educational environment. Thank you! The teachers are really nice and the curriculum is good for the students. We love and trust Snosprings! Snosprings School builds an inclusive and welcoming environment for students so that they can develop their academic success in a worry-free environment. Teachers are very dedicated to tutoring kids. The curriculum is well designed and teaching materials are well prepared. This has greatly helped my child make terrific academic and social progress. The cub clubs also helped extend her interest in different subjects (chess/coding/painting/etc.). I appreciate her teachers’ effort in guiding her to learn collaboratively and independently and also give us comprehensive feedback on how she has been doing. Snosprings provides a nurturing, caring and whole-child education for children. The entire staff at Snoqualmie Springs School is committed to the promotion of love and respect, role-modeling appropriate social behavior, leadership, listening, critical thinking, self-appreciation, self-motivation, self-direction, self-esteem, self-expression, good citizenship and etiquette.